I read this article and wanted to share it with you: Catalog Teaser: Look at what we did with the photos this year! 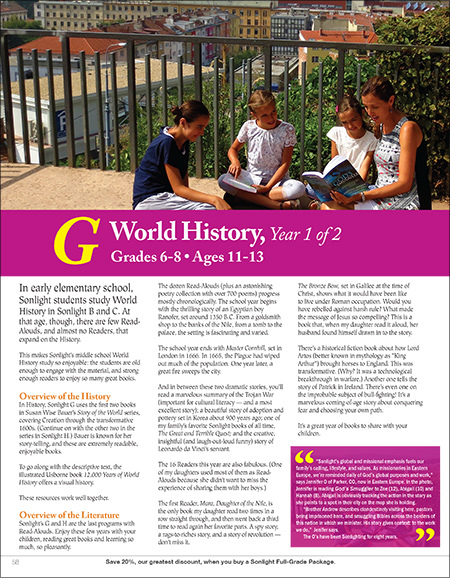 https://blog.sonlight.com/catalog-teaser-look-at-what-we-did-with-the-photos-this-year.html. We are so excited for the new catalog! As we wait for the printer to finish, we thought it would be fun to show you a new design element that we really like. Here's the first page of Sonlight G. Isn't that so beautiful?! Such a great photo! And, compared to past years, nice and big. And the captions – these little stories are one of my favorite parts of the catalog. 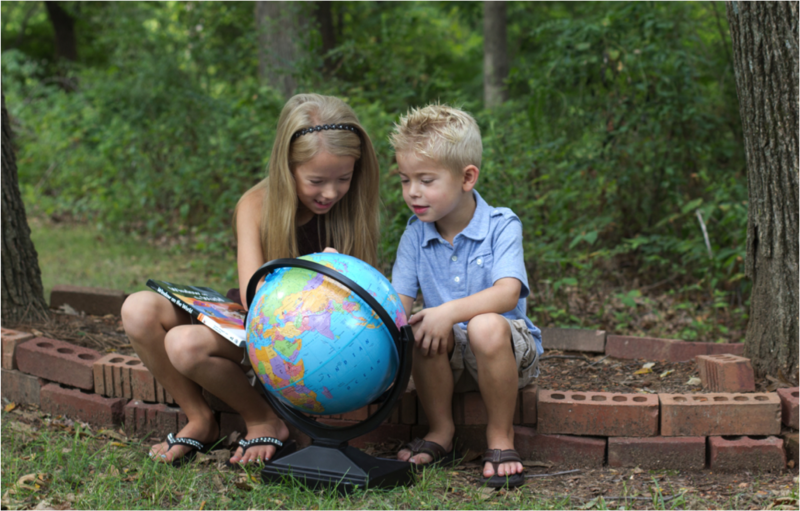 "Sonlight's global and missional emphasis fuels our family's calling, lifestyle, and values. As missionaries in Eastern Europe, we're reminded daily of God's global purposes and work," says Jennifer O of Parker, CO, now in Eastern Europe. In the photo, Jennifer is reading God's Smuggler to Zoe (12), Abigail (10) and Hannah (8). Abigail is obviously tracking the action in the story as she points to a spot in their city on the map she is holding. "Brother Andrew describes clandestinely visiting here, pastors being imprisoned here, and smuggling Bibles across the borders of this nation in which we minister. His story gives context to the work we do," Jennifer says. The O's have been Sonlighting for eight years.